Every business is unique, with quirks and personalities all their own. Your history, staff, leadership, mission statement and goals all come together to create a specific company culture that cannot be replicated, no matter how hard the competition tries. Communicating those values to both existing and potential customers is key, but many organizations struggle in this regard. They may have a weekly, monthly or bi-weekly company newsletter, but getting the most out of that material is another matter. Company newsletters are about as old as email, and that longevity can sometimes work against the format. Far too often, businesses treat their newsletters as an afterthought – a quick email blast requiring little consideration or substance. The end result is a dry, tepid newsletter that does nothing more than give people a weekly reminder that your company does, in fact, still exist. There may be flashier outreach channels like Twitter and Facebook, but don’t sleep on the potential of a strong newsletter email strategy. As fractured as the digital marketing sphere has become, email remains a reliable touchpoint. 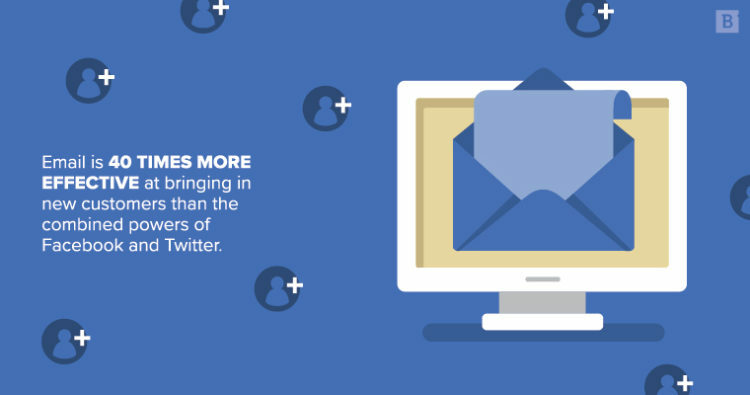 In fact, a 2014 McKinsey study found that email was 40 times more effective at bringing in new customers than the combined powers of Facebook and Twitter. When done right, company newsletters are perfect vessels for customer outreach and nurturing campaigns. Some brands have really nailed the art of the email newsletter, and there are plenty of benefits to following their lead. Their blood, sweat and tears fine-tuning their messaging, design and content is our gain, as we can learn from the finest examples around and achieve that same level of success. Hey, there’s no shame in stealing from the best and brightest when it comes to digital marketing. InVision’s content is like the Ryu of email newsletters – it’s an all-around fantastic product with no discernable weaknesses. Clean, crisp imagery, excellent and varied content, clear and engaging CTAs, a mobile-friendly design – it does everything well. The newsletter content ranges from helpful tips and tricks to thought leadership-based pieces with internal subject matter experts and even exclusive giveaways. There’s something for everyone here. If you’re not terribly familiar with InVision, this newsletter will pique your interest by showcasing its unique voice and viewpoint on digital design. We gave MOO a lot of ink earlier this year when we reviewed some of the best newsletter work of 2016, but there’s one point we may have glossed over: the online printing and design firm’s incredible GIF game. Animating the newsletter’s imagery gives it that extra pop and immediately grabs your attention as you scroll through the email. We can all learn from the MOOsLetter’s example and remember that company newsletters don’t have to be static or stodgy. They can find that happy medium between SME-driven thought leadership showcases and a barrage of cat GIFs. Just adding a touch of movement – and let’s be honest, the example here is not the world’s most complex or smoothest animation – spices things up and guides your audience to the most important pieces of newsletter content. Your email newsletter should serve as an opportunity to showcase your company’s deep level of industry experience and expertise. Let prospective and current customers know that you’re constantly thinking about ways to improve your corner of the business world with insightful, thought-provoking pieces. Email marketing solutions provider Litmus hits the mark in this regard, sharing with readers their thoughts on email design best practices. The design elements aren’t too hard on the eyes, either, which is always a prerequisite for effective and engaging newsletter content. It may be a bit of a cheat to call out a newspaper publication rather than a B2B or B2C company, but a good newsletter is a good newsletter. The Washington Post actually recently won a Webby Award for its 202 newsletter – and with good reason. The layout and design elements are elegant, and the copy is clear and concise. Subscribers know they’re getting a carefully curated list of the most important news items from one of the most-trusted voices in journalism. The lesson to take away here is: Don’t make your readers work for the information they value most. Let your newsletter design facilitate their search for truly impactful insights. One of the biggest mistakes you can make when designing newsletter emails is to assume that the people reading them are sitting in front of a traditional desktop computer. It’s no secret that the world’s gone mobile, but to reinforce just how far the pendulum has swung away from PCs and even laptops, consider this: 55 percent of emails are opened on smartphones and other mobile devices. Things continue to trend in mobile’s favor too: The number of emails opened through non-mobile browsers has dropped 26 percent over the last five years. You need to go where your audience is, and that increasingly means gearing your company newsletter to the mobile crowd. For many professionals, the first time they look at their business email in the morning isn’t necessarily when they get into the office, but during their commute. Branded supplies manufacturer Lumi understands the importance of mobile as well as just about anyone. The design of their email newsletters is pretty straightforward – no custom imagery to be found here – but the layout is perfect for scrolling through on a smartphone. We highlighted Moz’s work in last year’s rundown of the best company newsletters, and once again the SEO marketing software giant has earned itself a position on our annual list. What’s interesting about Moz’s approach is that they don’t necessarily push their own content, but feature external articles they think their audience will find interesting, informative and valuable. That may seem like a curious angle to take, but it’s pure genius from a customer engagement and trust perspective. They’re not selling you on anything, just presenting thought-provoking tidbits from around the web. Readers aren’t going to approach this content with skepticism, and over time, they’ll associate the Moz brand with unvarnished insights into topics that affect them most. That’s all without even mentioning the design work, which is as well-done as ever and always adheres to Moz’s strict branding guidelines. Hats off to the marketing team at Caterpillar – we didn’t know you had it in you. Who would have thought that a brand so closely associated with no-nonsense construction and engineering equipment could knock out a newsletter this engaging? The layout’s great, the eye is easily drawn to the most important points of interest and the entire newsletter serves as an incredible use of Caterpillar’s iconic imagery, decked out in the company’s trademark yellow-and-black brand colors. This just goes to show that you don’t need to be a digital marketing virtuoso to get it right. A good sense of what makes your brand unique and a clear understanding of how to best communicate with your intended audience will take you far. Yeah, that’s right – we’re tooting our own horn. After all of this talk about email newsletters showcasing SME, thought leadership and company culture, it would be a bit of a letdown if we didn’t take our own medicine, wouldn’t it? Brafton’s a lot of things – creative, boundary-pushing, diligent – but we’re not modest for the sake of modesty. Our email newsletter captures every quality discussed here and highlights industry best practices, employee profiles, tips and tricks on getting more out of your content marketing and so much more. On top of that, our design team continually whips up incredible imagery to go along with each piece of content, and our CTAs grab the reader’s attention. Are we the absolute best at email newsletters? We’re probably a little biased, but we’ll say this: We’re right up there. And, hey, while you’re at it, sign up for our newsletter, so you don’t miss a single compelling insight from our team of content marketing experts.